I have a new item in the shop today. 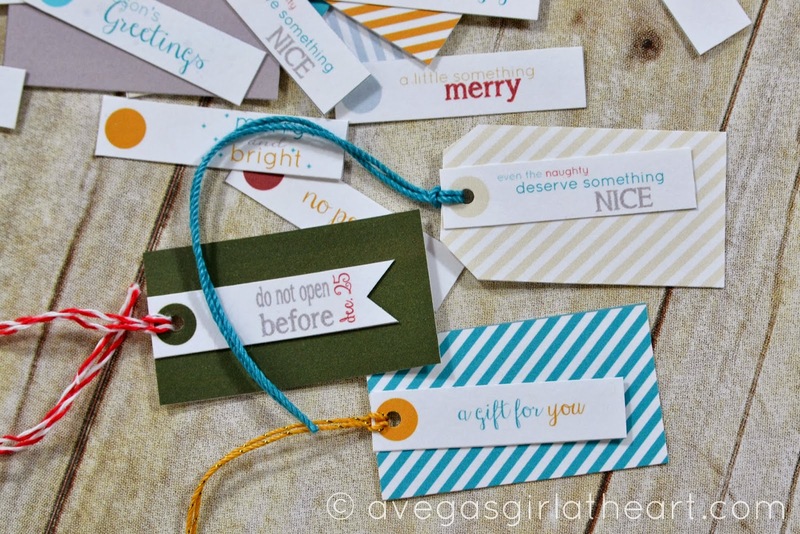 These are printable gift tags that you can mix and match. There are 24 different base tags (12 colors, in both a solid and a stripe), with 12 different phrase tags to layer on top. You could also just use a base, or just a phrase. Use a square punch and cut off the end of one of the phrase tags for a pennant shape, snip the edges of the tag to make it a tag shape, round the corners, whatever you like. Add twine of your choice and you can create lots of different looks.